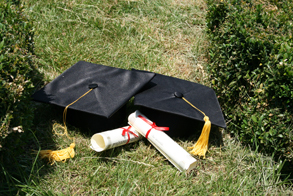 The Mark Southern Memorial Scholarship is a grant for education after high school. The amount of money awarded will not be less than one thousand dollars ($1,000). The Scholarship is named for the late Mark Southern, who was a friend and supporter of the Elburn and Countryside Fire Protection District. Candidates must meet a list of official requirements to prove they are eligible. Eligible candidates must fill out an application (see below). Applications must be submitted on or before June 18, 2019. Applications submitted after June 18, 2019 will not be accepted. A board of randomly selected members of Division 13 will read the applications and select a winner. Applicant’s names will be kept confidential from the board by the committee chairperson until after a winner is decided upon. Winner(s) will be contacted no later than August 11, 2019. Rules have been decided upon by the family of Mark Southern and The Scholarship Chairperson. The director of the ECPFD Explorer Post will be eligible to recommend 2 explorers, in good standing, for the application process each year. Applicants will have at least one parent that currently operates or has operated in MABAS Division 13 as a Firefighter / EMT / Paramedic. The Head Instructor of the Fox Valley Career Center’s Fire Science Program will be eligible to recommend 2 students, in good standing, for the application process each year. Applicants must successfully graduate high school and have no less than a 2.5 cumulative GPA on a 4.0 scale or equivalent. Acceptance of said scholarship imposes an obligation to begin and complete a year of full time study for that year. All scholarship money will be distributed directly to the Bursar’s office of recipient’s university, community college or two year trade school. Please be sure to include this address with applications. Applications for Masters or Doctorate programs will not be accepted. Scholarship(s) awarded are grants, not loans. Recipients are encouraged to do whatever they can, when they are financially able, to assure that the Memorial Scholarship continues to have the resources to grant such assistance to deserving individuals in the future. The applications submitted will be reviewed by a committee of Firefighters/EMTs/Paramedics that operate in MABAS Division 13. Said committee will consist of a committee chairperson from the Elburn & Countryside FPD and five members from at least four different fire departments or fire protection districts. Said committee will have final decision regarding the awarding of scholarship(s). Applications will be made available in March and scholarship(s) will be awarded no later than August 10th, for the fall semester of that academic year. Please answer our few questions with short simple answers by clicking on the link below. Thank you for your application and good luck to you!